Are you an organized Christmas shopper? Make a list – check it twice – wrap your gifts weeks ahead of the holidays? Unfortunately, I’m not. So if you are anything like me, you could use a little organization when it comes to your gift wrapping. Today’s inspiration for our 100 Days of Homemade Holiday Inspiration caught my eye last week while browsing for ideas on Pinterest. How about a Gift Wrapping Station to help you out? 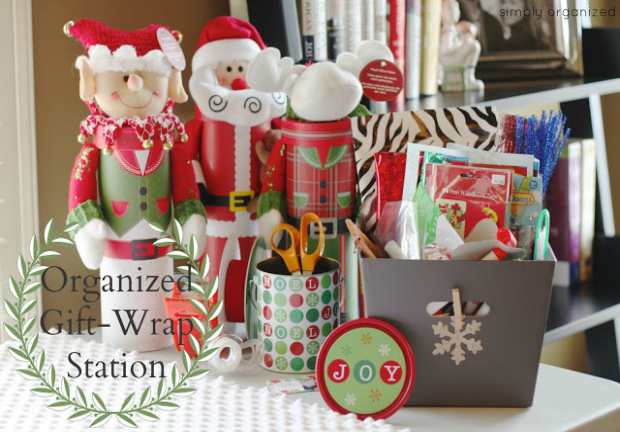 Head on over and find out just how to get yourself organized and ready to wrap all those Christmas gifts!